One of the weak points of the Nixie is her rear fender extension. 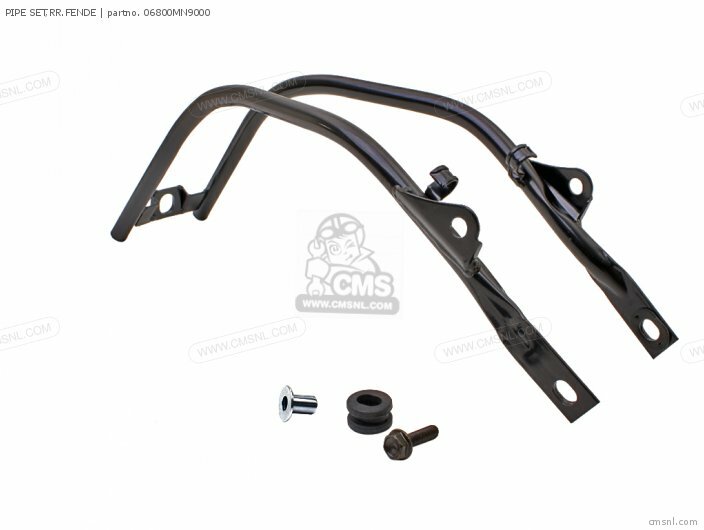 It lacks the reinforcement the NX650 fender got – so I had a small series of such a reinforcement for the NX250 produced (see below). 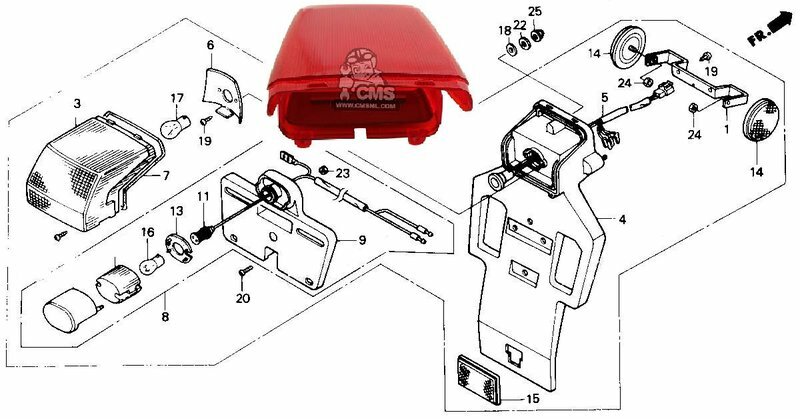 Without that reinforcement, the long fender extension bends the fender just at the angle were the taillight lens is attached, causing squeaking noises during driving and cracks in both fender and taillight lens.Taillight lenses are thus an abundantly needed part. 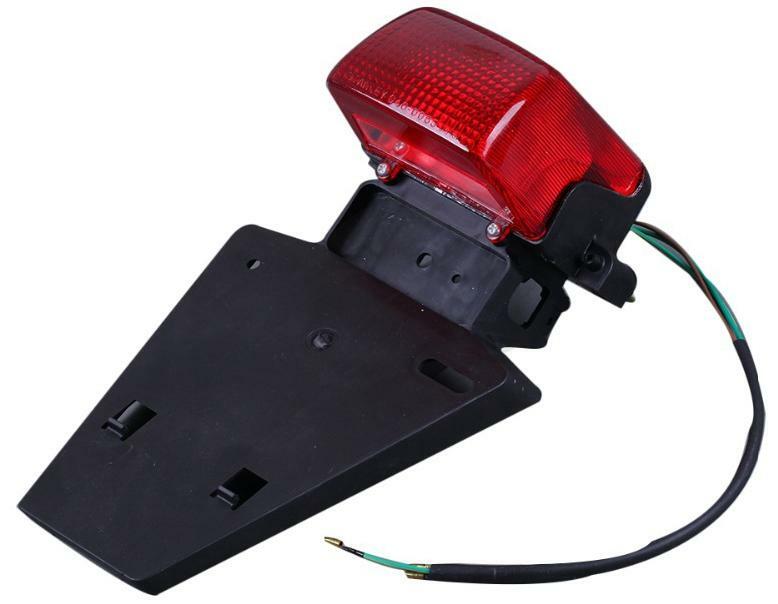 The US nixies got a seperate licence plate light and a different taillight lense -- and now the US taillight lenses are out of stock, probably never to be produced again? 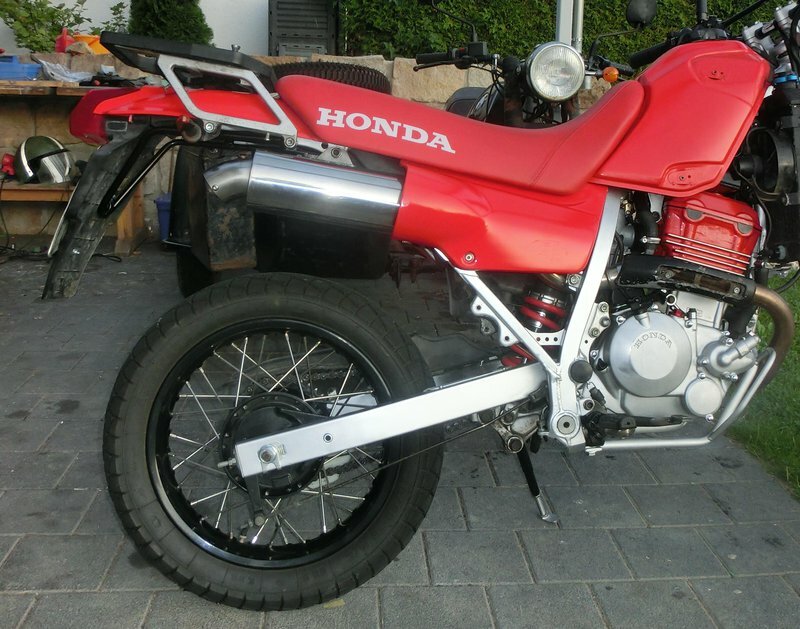 Luckily, the EU Version is still available http://www.cmsnl.com/honda-nx250-domina ... OSSXSzbsdA and fits. And the EU lense got a clear window below, so it doesn`t need a separate license plate light. 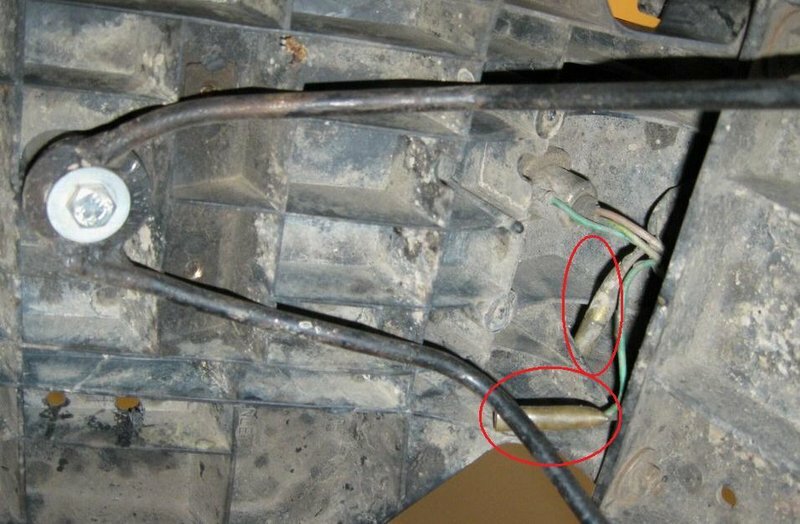 Here a guy already got rid of the license plate light - the red circles indicate where it was bolted to the rear fender. While you are at it you could change the bulb of the rear light (32/3W or 27/7W) with the more common 21/5W (stock in EU Versions). Saving these watts (the license plate light is another 8 W) will be beneficent, since the US versions sometimes got problems with sufficient charging of the batteries. This is something that is extremely rare with Euro-nixies, since the electric systems are identical it likely has something to do with the extra power consumed by the rear US illumination. 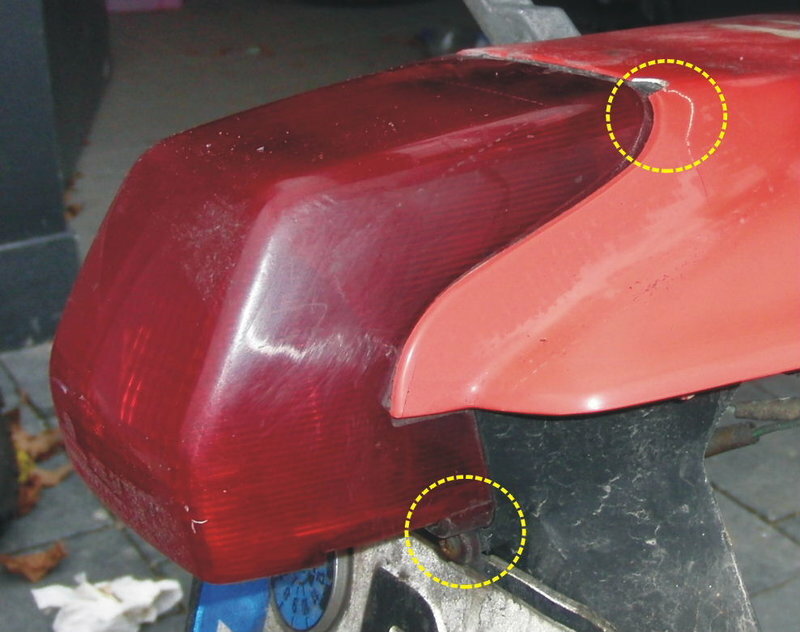 Most aftermarket taillight lenses are AX-1 parts. Since die AX-1 was also named NX250 by Honda this led to some confusion among the traders. But the lenses are different (the AX-1 lens is flatter) and AX-1 lenses won’t fit on NX250 taillights (and vice versa). Another option would be to buy a cheap Chinese duplicate of the AX-1 rear fender extension. 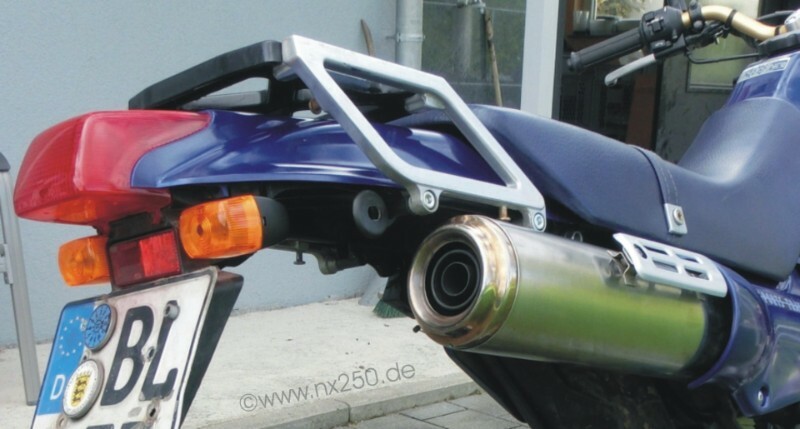 It fits plug and play to any NX250 rear fender and is cheaper http://www.ebay.com/itm/Motorcycle-Rear ... 1021872423 than the OEM EU lense alone. That is a very useful information for those in need of those taillights. Not my case, but I do appreciate as well. It is very nice of you to post it in English so that it is available to more NX owners. As said, I had some reinforcements made to save our fenders. 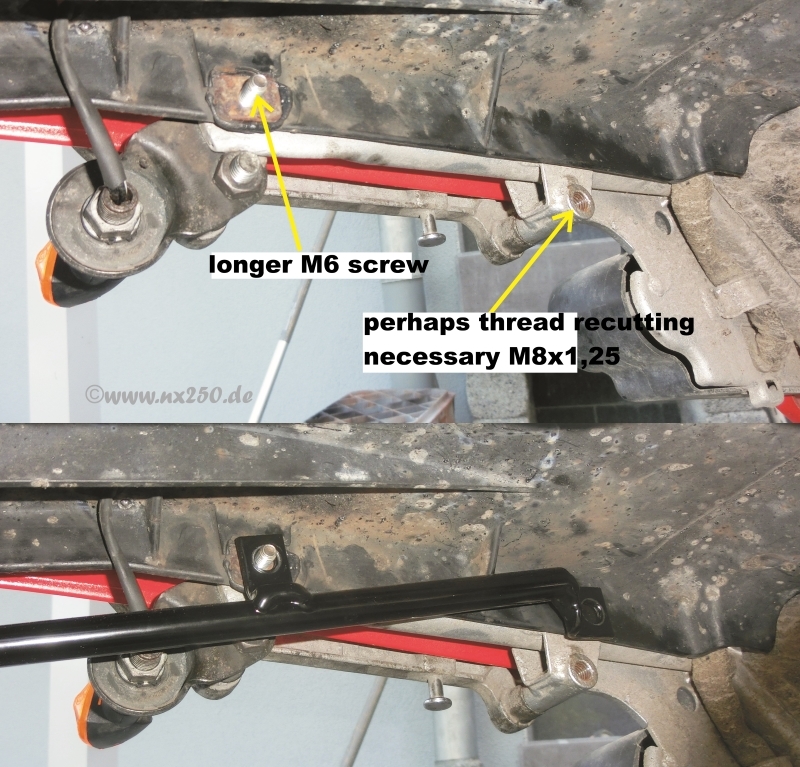 Since the rear fender extensions of NX250/NX650 are identical there is already a thread which can be used to attach the reinforcement.